“The small javelin weighs 4 liang. The head has a circumference of 6 fen. When tossed [up in the air] they come down like rain. Made of forged iron [as to produce steel]. 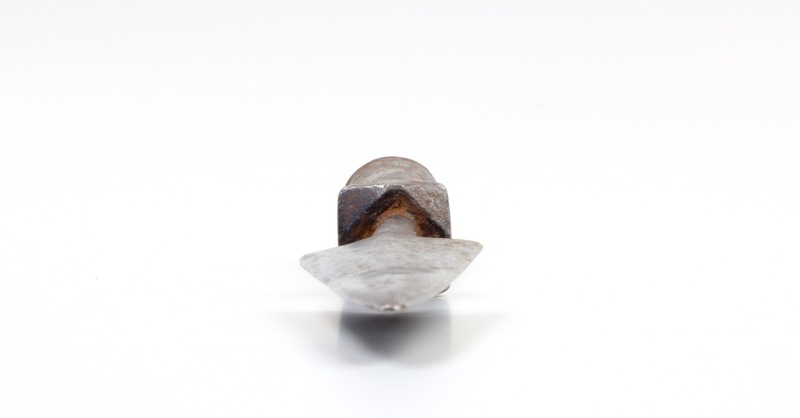 It has a sharp point and two edges leading to barbs. It is made of wood and lacquered vermillion. 1. 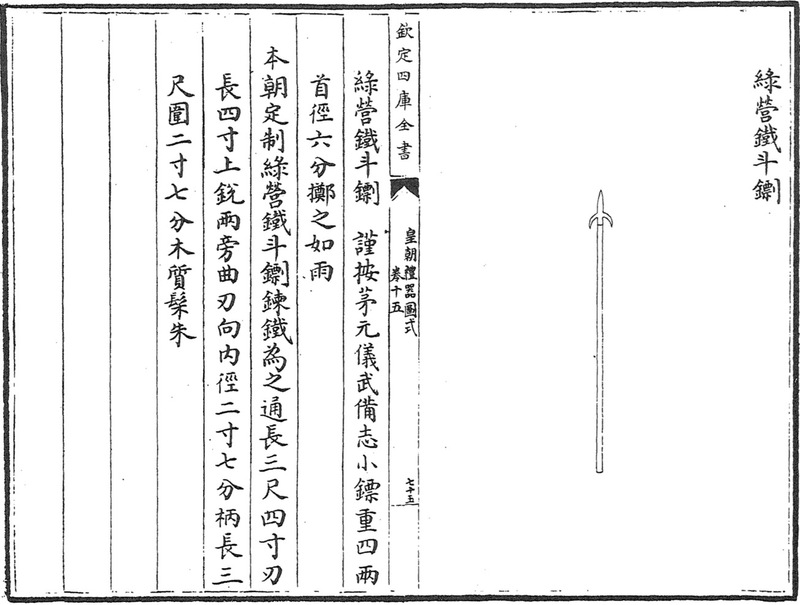 The 武備志 ( wubeizhi ) was compiled in 1628 by Ming naval commander Mao Yuanyi. With over 10.000 pages, it is the most comprehensive Chinese treaty on military affairs ever written. 2. From "Mesny's Chinese Miscellany", January 16th 1896. Page 233. Brought to my attention by David Leffman, author of the book about Mesny's exploits: The Mercenary Mandarin: How a British adventurer became a general in Qing-dynasty China. 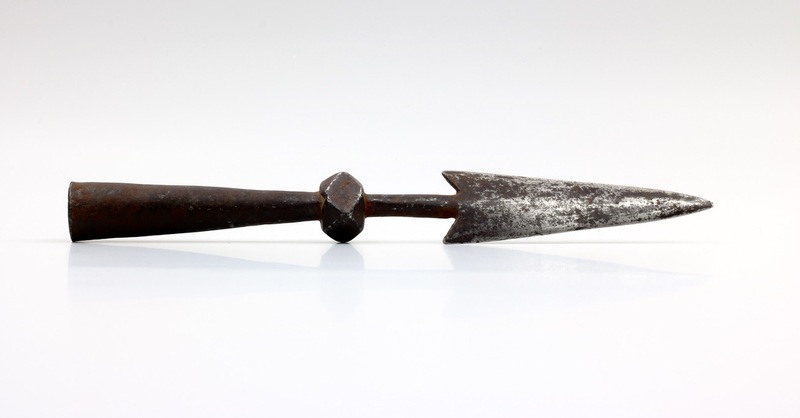 At first sight this may look like a miniature version of a standard Qing spearhead. But wait a minute, Chinese spears were never barbed. This because it was important the head could be easily retrieved from the victim fast in order to be able to face the next adversary. The only head you want to be barbed is one that is meant to remain in the person or animal it hits: you see this on arrows, fishing spears, and javelins. It left me puzzled for a while, until I realized there is in fact a javelin in the Chinese arsenal. Chinese javelin throwing must have been a martial art until not too long ago, but the art did not survive the turmoils of the Qing / Republican era transition and is not currently part of any Chinese martial arts tradition I am aware of. The piece is purely practical, with no attempts to decorate or otherwise enhance its visual appear. It is well-made though, of good steel, and probably served well for its purpose. Socket and neck have a nice dark patina, the blade showing the actual color of the metal. It has signs of various field sharpening sessions, suggesting it was put to actual use. 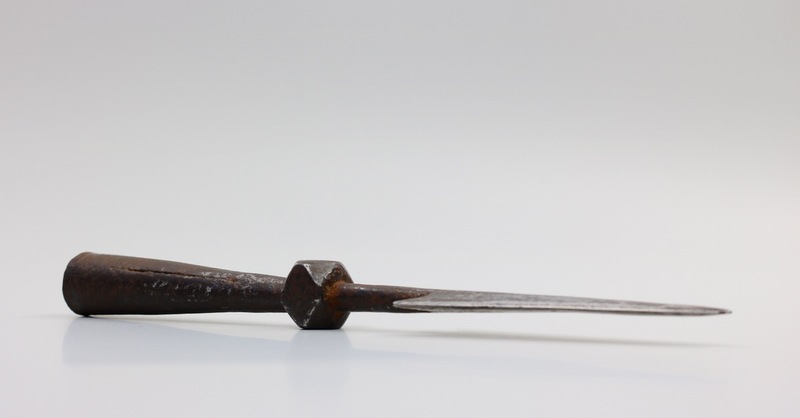 A very rare example of small, barbed Chinese spearhead that was most likely the head of a type of javelin. It's an art not generally associated with Chinese martial arts, but various references indicate it has in fact been practiced.